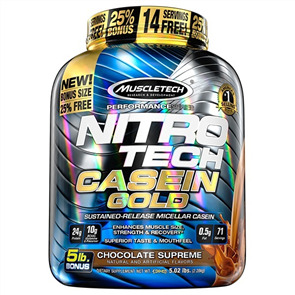 Extended Release Protein Powder also known as Casein Protein Powder is a slow digesting protein that supplies a steady flow of Amino Acids into the blood stream. Extended Release Protein has a huge impact on supressing protein breakdown which makes it ideal to take in between meals and especially before going to sleep. Buy Extended Release Protein Powder at the best prices from Sprint Fit and receive free shipping New Zealand wide.